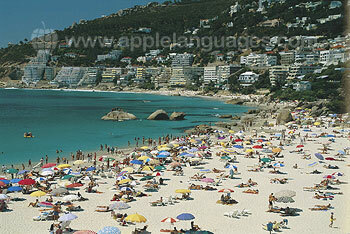 Study English in breathtakingly beautiful Cape Town! 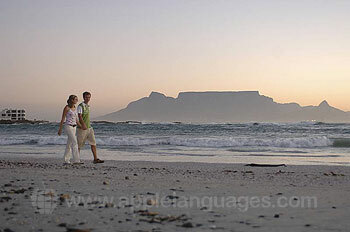 Framed by the magnificent Table Mountain, Cape Town is home to enticing beaches of pure white sand. Watch zebra and wildebeest graze on the mountain, or abseil off the side of it! Take an English course in Cape Town and you can enjoy every type of sport imaginable, including surfing, golf, paragliding, horse riding and mountain biking. If you want to escape the crowds, visit the wild African penguins around picturesque Simon’s Town, join a wildlife safari, or sample fine South African wines at a nearby winery. Alternatively, you could always take a dip in our school’s on-site swimming pool! Our school has two learning centres, one in the very heart of Cape Town and the other in the fashionable and quiet residential area of Newlands. 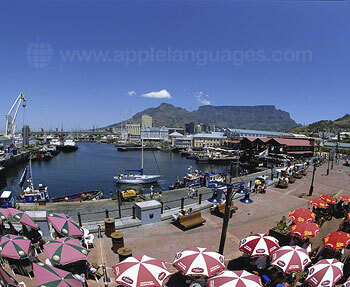 The city centre school is located in a pedestrianized street, close to the historic Castle of Good Hope and just a short bus ride away from fantastic beaches and the popular Waterfront shopping area. Inside the school you will find nine comfortable and fully-equipped classrooms, a computer room, library, kitchen and a break area. 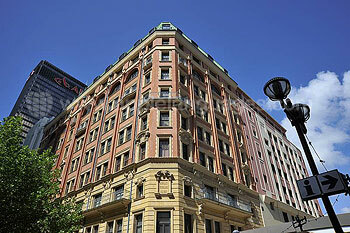 Public transport is close by as well as plenty of shops, restaurants and other amenities. Based in the affluent Newlands neighbourhood, close to the cricket and rugby stadiums, our second school building has an outdoor pool and its own beautiful and relaxing gardens, where English lessons often take place outside. The school also has a student lounge, computer room, library and spacious classrooms, all with natural light. 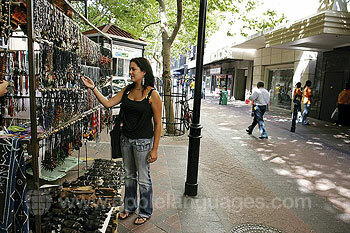 There are shops, restaurants and sports facilities within walking distance of the building. Both centres offer free wireless Internet access, as well as complimentary tea and coffee in the breaks between your English classes! 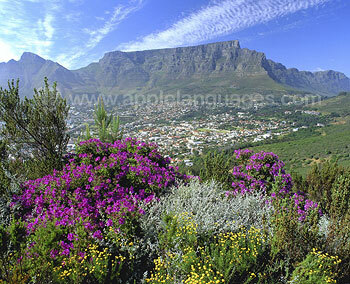 Learn English in Cape Town at your own pace! Our school offers Standard, Intensive and Super-intensive programs, which involve 20, 25 and 30 English lessons per week, respectively. These courses are taught in same-level groups, and with a maximum class size of just 10 students, you’ll quickly improve your English. The Intensive course consists of 20 group classes and five Private Lessons per week. Individual classes afford you the undivided attention of our school’s expert teachers, so you can rapidly overcome any problems and make remarkable progress! If you like, you can take an English course in Cape Town made up solely of Private Lessons, allowing you to learn at an even greater pace! 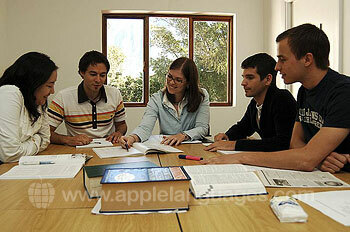 Special interest programs are also available at our school, including Business English and Exam Preparation courses. Our school’s teachers can prepare you for either the Cambridge Exam or the IELTS test, leaving you confident of success. 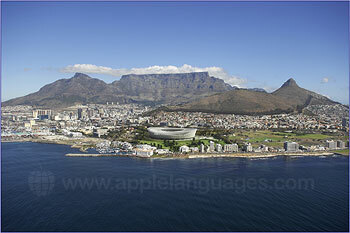 We’ll gladly answer any questions you might have about studying on an English course in Cape Town, so please contact us! 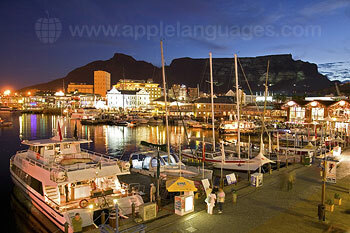 Totally immerse yourself in the English language and the South African way of life – live with the locals! You’ll get plenty of English practice and two home made meals each day. 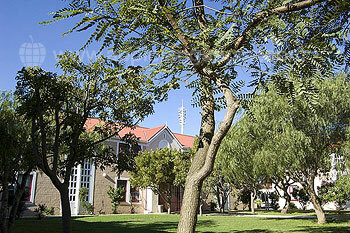 Our school selects host families for their hospitality, as well as for the quality and location of their accommodation. ‘Host family plus’ families offer a higher standard of accommodation, with private bathrooms. Alternatively, you can get to know other students better by living in our school’s student residence or in a shared student house. 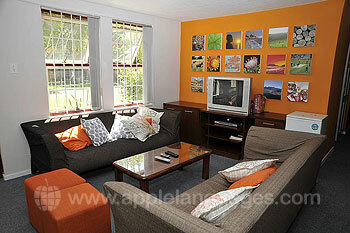 The residence is located between Newlands and the city centre, close to the University of Cape Town. Ideal for the more budget-conscious student, the shared student house is within walking distance of both Newlands school centres and has its own garden. Both the residence and the shared student house feature communal bathrooms, kitchens and TV lounges. We want you to have an unforgettable time as you learn English in Cape Town, so our school organises an ever-changing program of activities for students. Regular activities include guided city tours, sunset boat cruises, dinners with tutors and classmates, hiking and trips to table mountain. At the weekends, you can take part in excursions lasting for a whole day or longer. 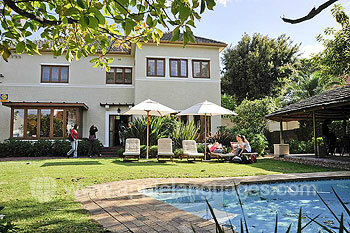 Visit vineyards, spot wildlife on safari or journey along the scenic Garden Route. Some activities are included, whilst others carry an additional cost. Cape Town is served by Cape Town International Airport. Our school will collect you from the airport, free of charge, upon your arrival. A return transfer to the airport costs extra. My course was appropriate to my level, the teacher was very good at explaining and making the lesson fun. My opinion is very positive. I stayed with a family who hosted me. The family was very welcoming and helpful extremely nice, they treated me like a family member making my stay very pleasant. I would add that it was an experience I will refer in the future, I recommend this school because it's really good.